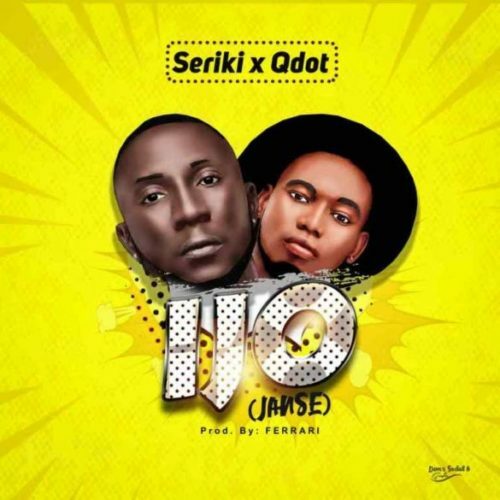 Get this new rap from Seriki – Ijo (Janse) feat. QDot. The indigenous rapper, Seriki begins 2019 with a fresh new tune named “Ijo (Janse)”, proudly prod. by Ferrari. The rapper, Seriki ‘Omoowo’ collaborates with “Gbese” singer, Qdot ‘Alagbe’ another rapper to serve their fans and the admirers of road popular music a slamming record labeled “Ijo” which means Dance to lit up the end of the week. “Ijo (Janse)” will release the Zanku vibe that inside you. Listen & download Seriki – Ijo (Janse) feat. QDot below.